The Trouble with Filly Tucker is now available in seven countries. 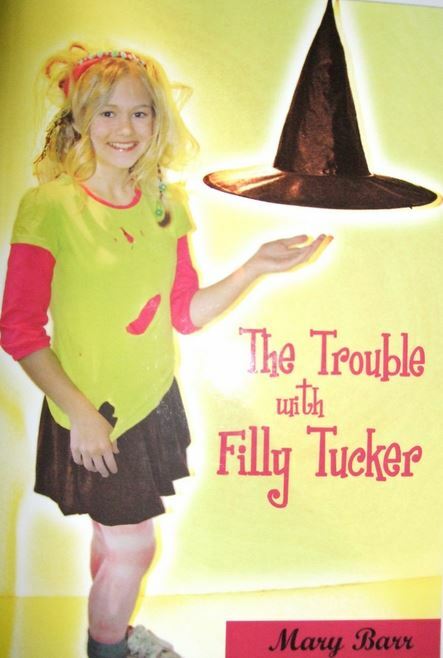 Filly is an eight year old Witchlin; she lives with Grandma Copperbottom and, the black magic cat left to her by her mother. His name is Tabasco. Each day, Filly struggles with her spells but, somehow never quite manages to get them right. Grandma constantly understands and remains steadfastly encouraging. However, Tabasco often finds it all too much and his sarcastic tongue gets the better of him. When Filly’s friend Sally Bottle, another young Witchlin calls, things get decidedly worse. Somehow, to Tabasco’s disgust, they all managed to end up on the ceiling! Something has to be done; and one day it is. Imagine Filly’s surprise when she arrives home to find a strange box on her doorstep. As she followed the instruction inside the box, she finds herself whisked away on a crazy weekend where she meets the terrible Twissle twins. Billy and Willy Twissle may only be four years old but they have certainly learned their magic well. They have the fun of their young lives, at Filly’s expense! Until finally, she manages to control her magic!